Ernest Bevin College’s Summer Camp in China successfully concluded at Heilongjiang University of Chinese Medicine (HUCM) on 3rd April. During the ten-day Chinese Summer Camp, teachers and students from Ernest Bevin College (EBC) not only learned Mandarin Chinese but also experienced the colourful traditional Chinese culture featuring traditional Chinese medicine (TCM). Summer Camp in China is an annual project of EBC Confucius Classroom, which is now in its third year. The programme included a Mandarin course, traditional culture studies, a family day, and TCM experience. During the Mandarin course, both the teachers and students were actively involved. After ten days’ training, the students were able to communicate in Mandarin and were enthusiastic about the content of learning -- some were able to name the 12 animals in the Chinese zodiac. The activities that the students enjoyed most were calligraphy and Chinese kung fu. 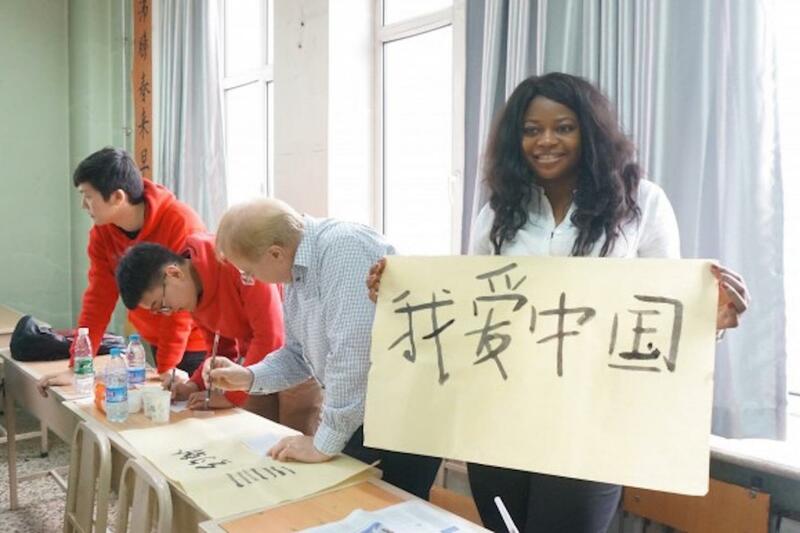 After two lessons in calligraphy, the students were able to write their Chinese names, which impressed the teachers so much that they said the students were geniuses. Marie Dorcely, Head of Languages at EBC, could already speak some Chinese. She said that she liked China and wrote “I love China” using Chinese characters. 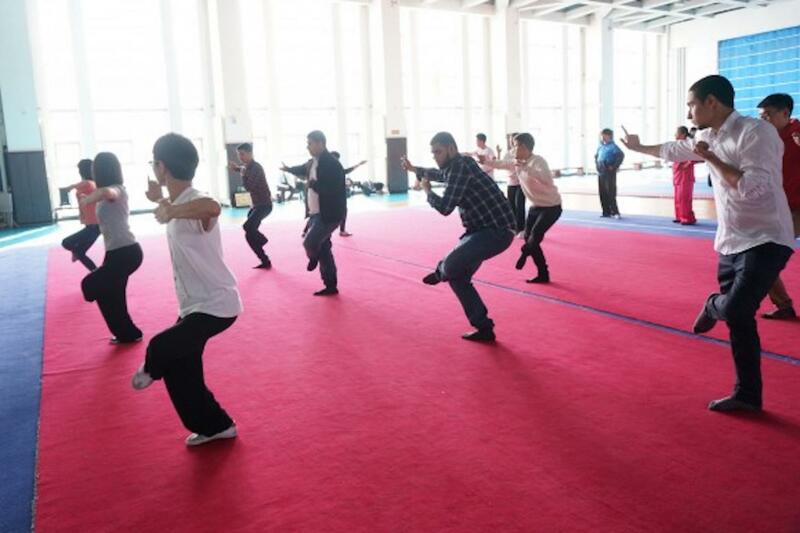 During the kung fu class, the students first appreciated the introductory martial arts performances by the students of the Martial Arts Association at HUCM. 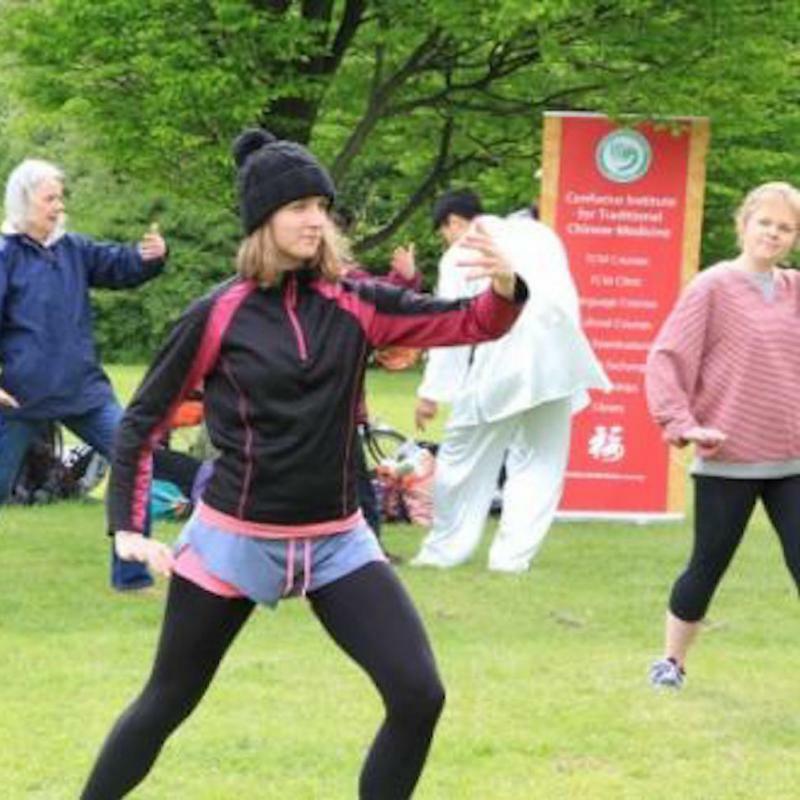 They were then divided into groups based on their interest to learn taiji, nunchaku, the drunken fist and wellbeing exercises. The students’ performances at the end of the course were highly praised by the audience. The students also participated in the TCM workshop. 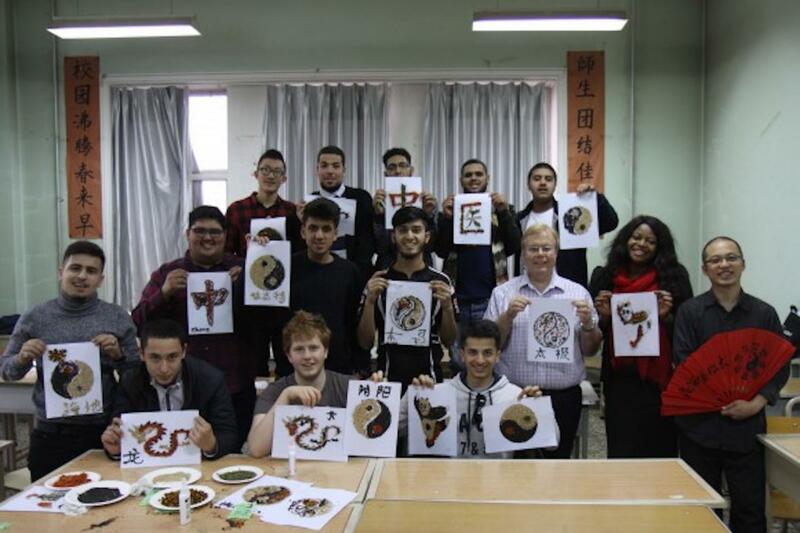 After learning about the functions of different herbs and the basic principles of Chinese wellbeing, the students creatively stuck various herbs onto paper in the shape of Chinese characters and dragons. 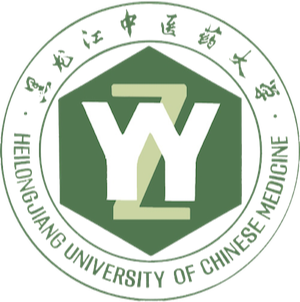 The students then visited HUCM’s TCM Hospital, where they observed various types of treatment, including TCM massage, cupping and acupuncture. They also learned about various basic concepts, such as the balance between yin and yang and the tao following nature. Some students had the privilege of experiencing neck massage, which they claimed was the highlight of their trip. In addition, the students visited the Forbidden City and climbed the Great Wall. Traditional Chinese culture fascinated the students so much that some of them expressed a desire to study or even work in China. When the Summer Camp concluded, the students said goodbye to their Chinese friends and hoped to see them again. 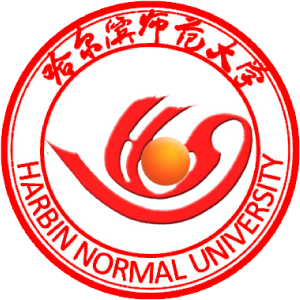 CITCM, the organiser, works with Harbin Normal University and Heilongjiang University of Chinese Medicine, and organises a number Summer Camps featuring TCM for its Confucius classrooms. 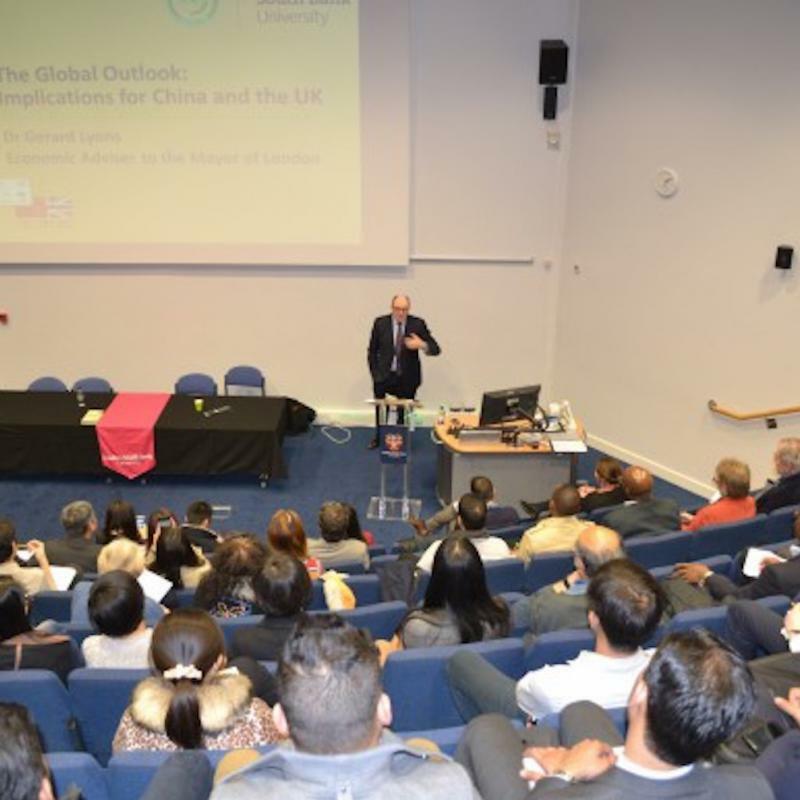 This not only provides the teachers and students from British secondary schools and universities with opportunities to learn Mandarin and experience Chinese culture in China but also fosters exchange and mutual learning among students of both countries and develops an increasing number of informal social ambassadors who are familiar with the language and cultures of both countries.